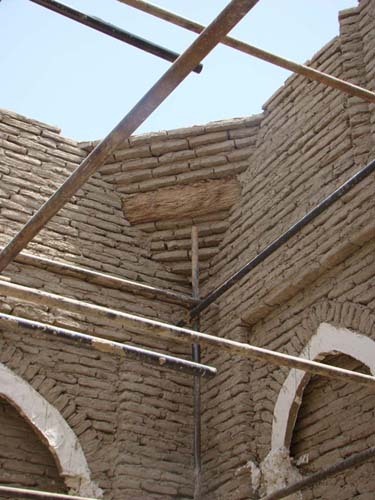 Iran is an ancient country where the use of adobe and mud brick techniques have been common for a very long time. 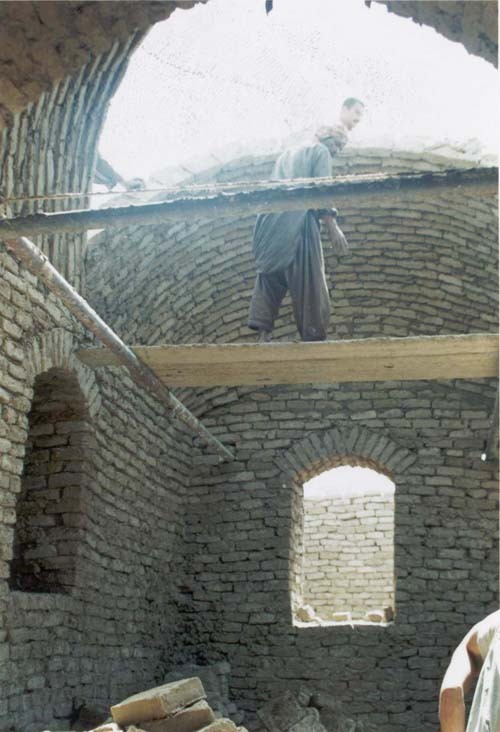 Below are some photo's showing adobe and mud brick structures from historic Iranian architecture. 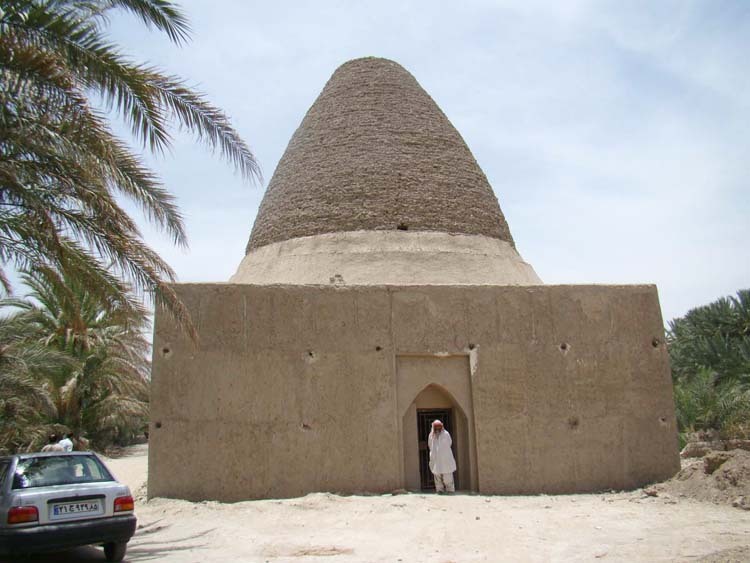 This is known as Khoh-e khawje. 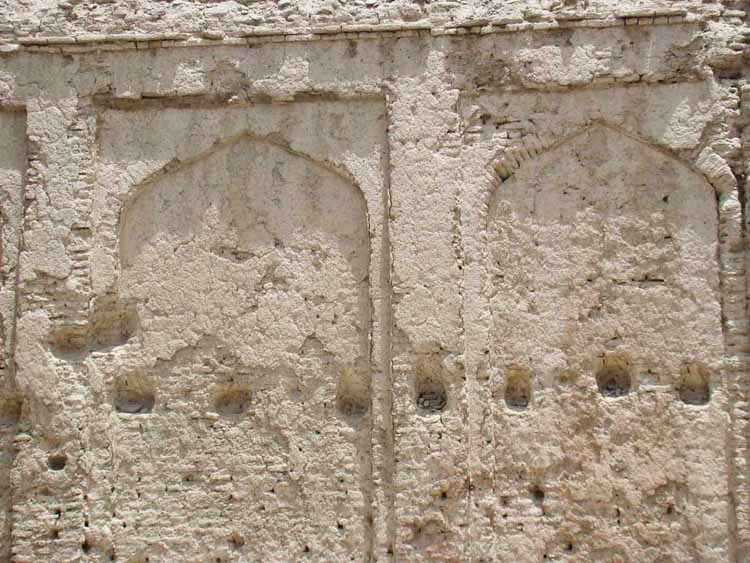 Valuable and diverse ancient relics from the Paleolithic period to the modern time have been spread out in abundance all over the country, some of which have been registered in the list of the World Heritage, and some are waiting to be registered. 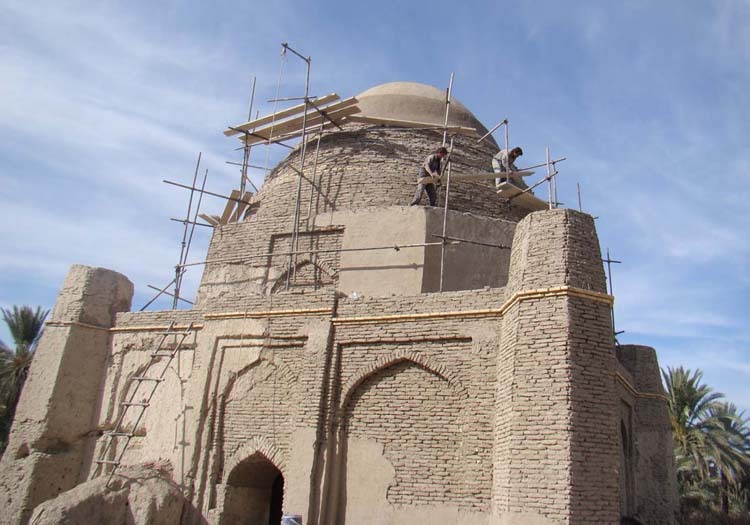 These places are exposed to different natural hazards such as overflowing of the rivers and seasonal floods, increasing sea level, destructive and high speed seasonal winds, running sand, earthquakes, etc. 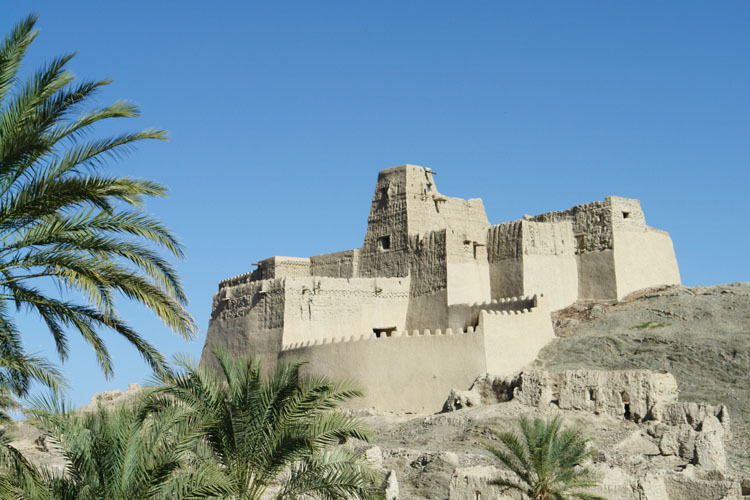 The destruction of the historic citadel of Bam by earthquake in 2004 is, so far, the most obvious and well-known example of such huge damage to Iranian historical sites. 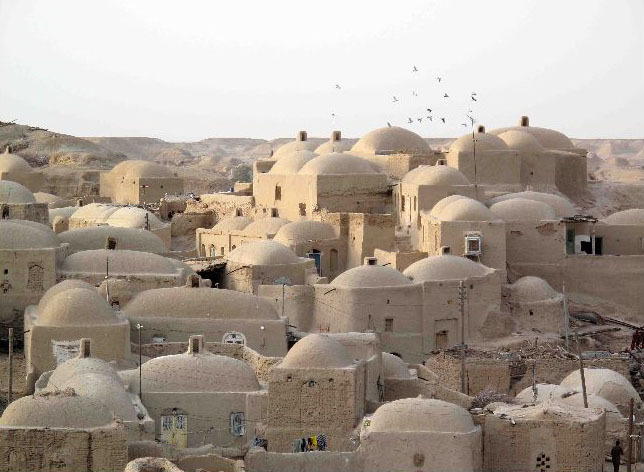 Above is "Ghale Nouv," an earthen village in Sistan of Iran. 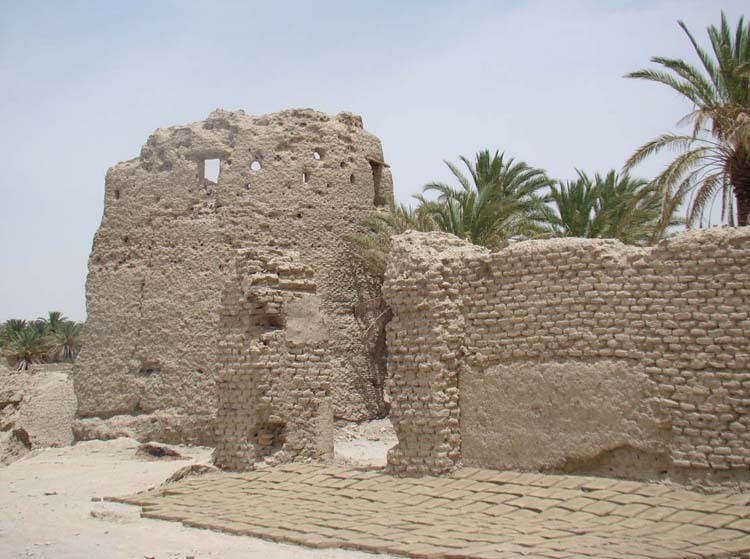 This village's name means "New Castle." 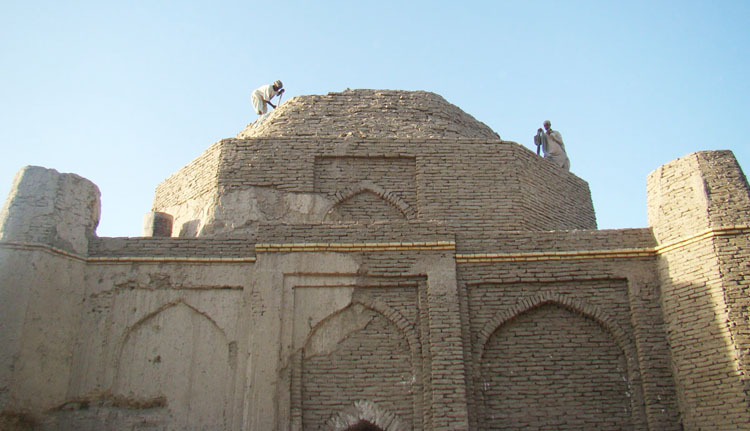 Below are pictures of the "Jalgh Tomb" in Saravan, which was my earth building conservation and preservation project. 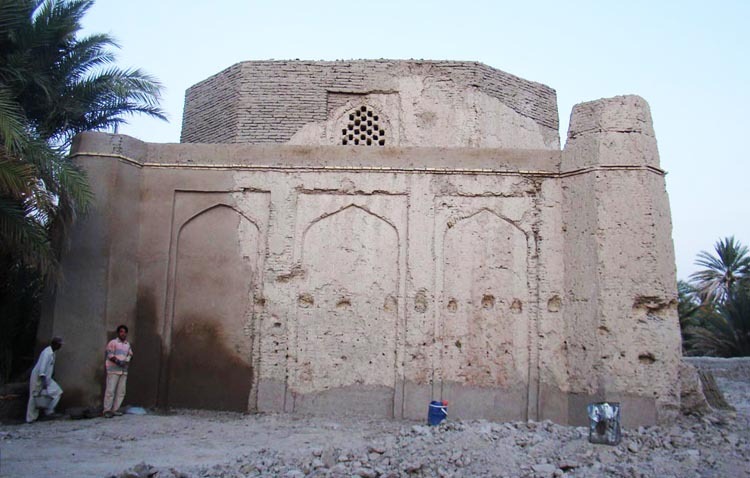 My research is about Adobe and Mud brick structures in Iranian vernacular architectural. 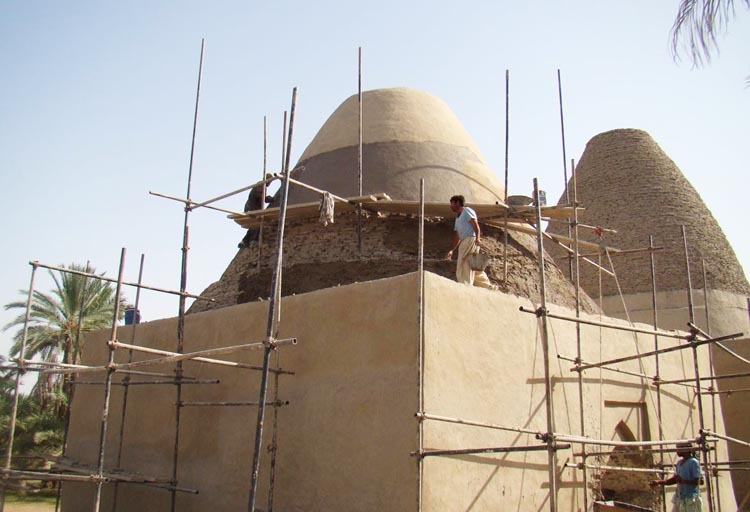 The project for the restoration and reconstruction at SEKOOHE adobe castle in 2008 is shown in the following photos. 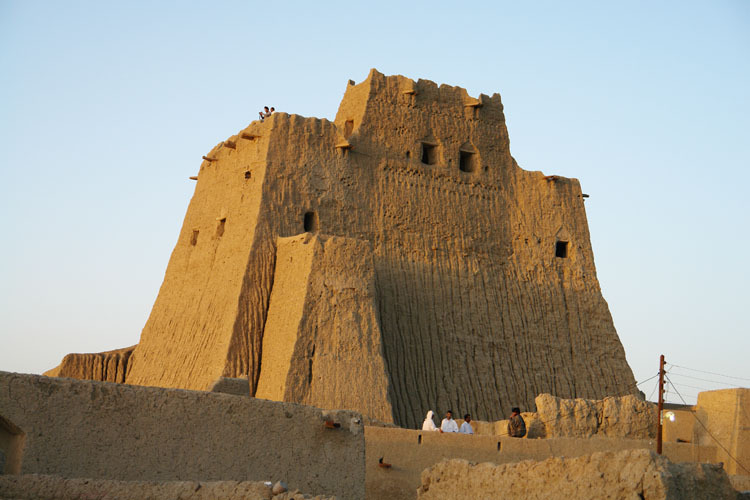 In the flat plains of Sistan are gradual and regular deposits of a clay layer with a uniform and accurate aggregation. This bed is the best place to find clay for adobe or adobe structures. 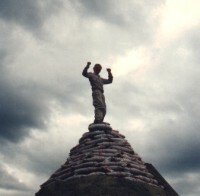 2 to 2.5 times the compressive strength and shear strength are possible with proper and accurate aggregation. 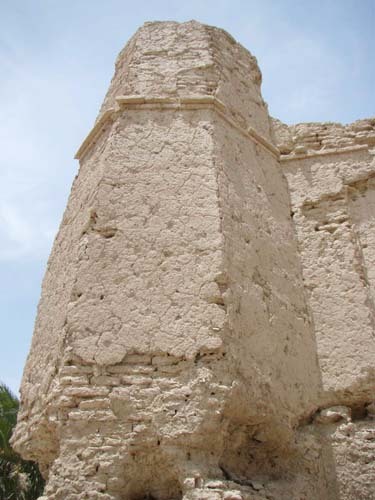 This type of adobe has increased wear resistance against abrasive agents such as wind. 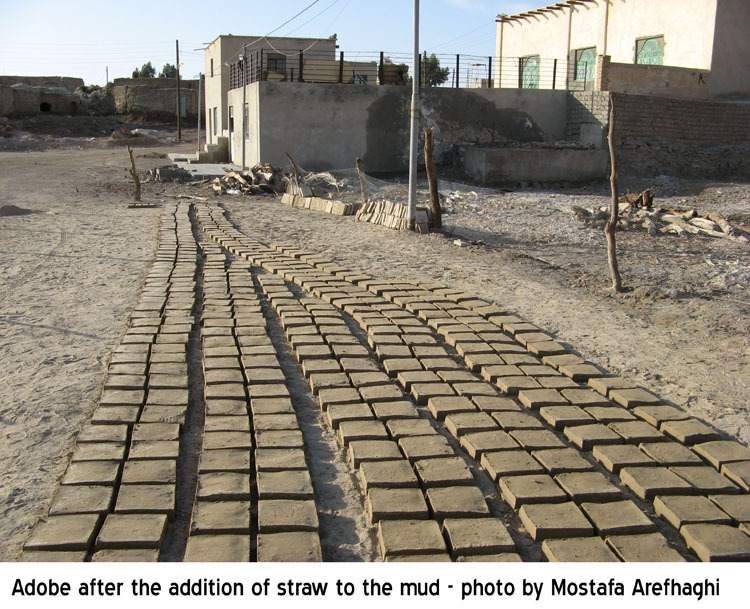 Even more quality adobe can be created when adding straw or cow manure to the mud.